Welcome to Southern Africa! This itinerary incorporates all that Southern Africa has to offer. Get up close to the wildlife at the National Parks in South Africa, Botswana and Zambia, see the great Victoria Falls, visit the sites in Johannesburg and Cape Town, and enjoy the outstanding views this region has to offer. All of this is waiting for you to enjoy. Welcome to Johannesburg! You will be met at the door of your aircraft with your name on a paging board. Johannesburg stems from gold and diamond mining, dating back to the 1800’s, and the city’s local name, Egoli, means The City of Gold. 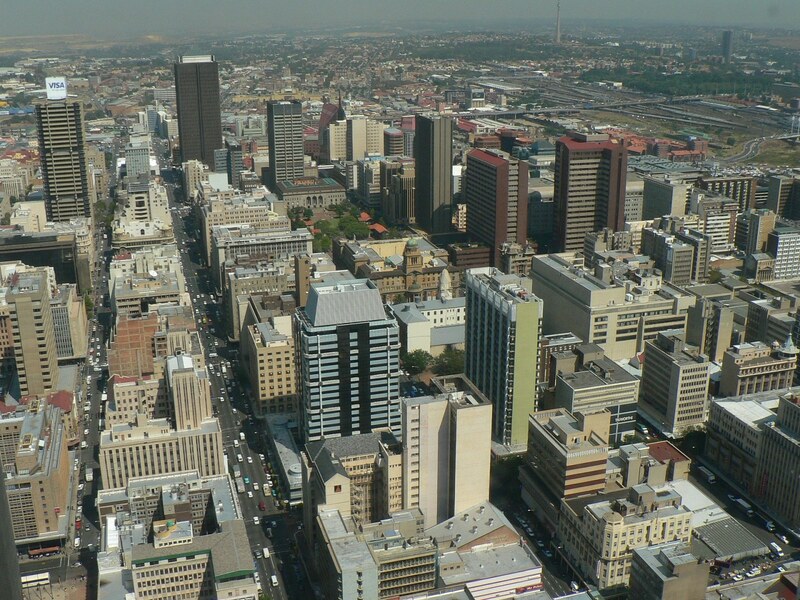 Today Johannesburg is the powerhouse of Africa and home to the continent’s busiest airport. Johannesburg is a wealthy and fast-paced city, one of the largest metropolis and areas in the world, earning its reputation as the “New York of Africa”, while also being considered as one of the greatest man-made forests in the world. Today you will check in at the Fairlawns Boutique Hotel. Relax and enjoy the view of the park-like garden with huge mature trees and prolific birdlife. Make use of the health spa, gym, and steam room as well as a Balinese Spa Garden with hydrotherapy treatments, or otherwise, order an aperitif on the tranquil terrace or sip cognac in front of a winter fire in the Colonial Bar. This morning you will be gathered from Fairlawns at approximately 10h00 to visit the Apartheid Museum. A team of curators, filmmakers, historians, museologists and designers was assembled to develop this extraordinarily important museum. It is a leading tourist attraction, with large photographs, metal cages, artifacts, newspaper clippings, film footage and numerous monitors displaying emotional Apartheid scenes and narratives. Your guide will accompany you on your walk through the various exhibits, or you are welcome to experience the Museum on your own. 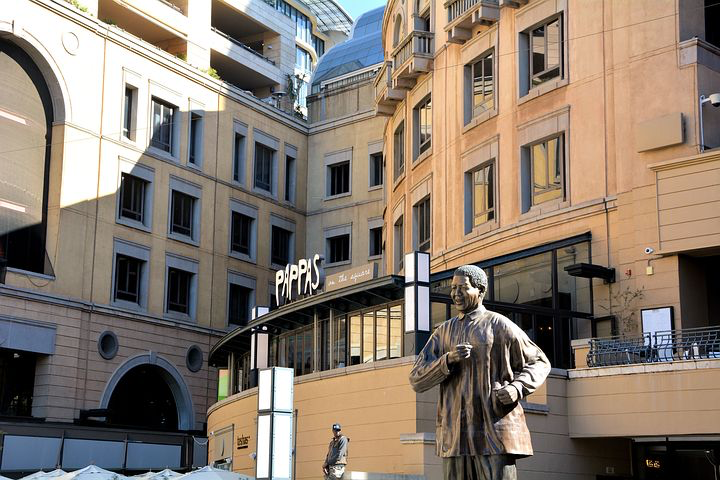 Following the visit, you will head to Nelson Mandela Square where you can enjoy some lunch (own account). Then depart for Soweto for the 15h00 Bike Tour, which is approximately 2 hours. Experience this exciting and eco-friendly tour for a half day cycling adventure around the township and get to know the different communities and its history. Go to places such as a former migrant workers hostel for men – continue to Meadowlands, famous for the forced removals from Sophiatown in the 1950’s. Cycle through historical landmarks of 1976 student uprisings and visit the memorial site of Hector Pieterson. You will also cycle down Vilakazi Street where Nelson Mandela used to live and where Bishop Desmond Tutu has his home. Finish the tour off at the local shebeen, have a drink, play pool and dance to kwaito music. This morning you will fly to Botswana. Welcome to Botswana! Botswana is a landlocked country, bordered by Zambia and Zimbabwe to the northeast, Namibia to the north and west, and South Africa to the south and east. 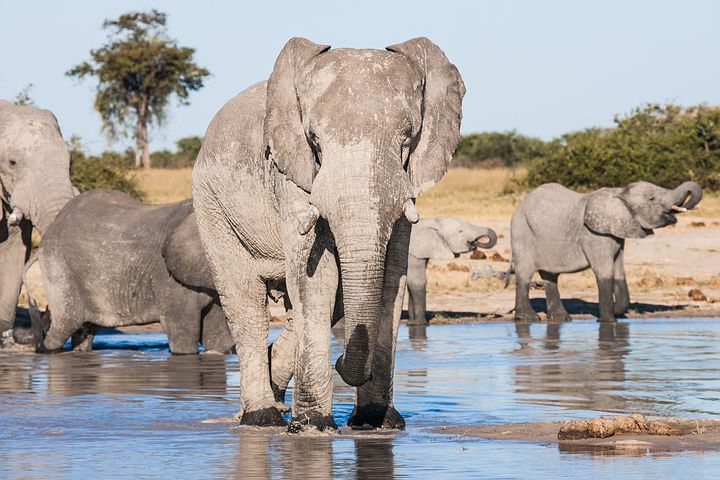 Botswana has placed great emphasis on its deliberate ‘high price –low impact’ policy to successfully preserve its fragile eco-systems and plentiful wildlife. It makes the country a highly sought after, truly African wildlife experience, living up to its status as the ‘Gem of Africa’. There are an incredible variety of great National Parks to visit, the most popular being the Moremi Wildlife Reserve and the Okavango Delta, which is the world’s largest inland delta, a seasonal wetland of channels, palm-lined islands, and wide grassy floodplains, visible from outer space. The Chobe National Park is to the north of the country and is home to the largest elephant herds in the world. Located in the heart of Moremi Game Reserve, which lies within the Okavango Delta in northern Botswana, is one of the original, authentic bush camps, Xakanaxa Camp. This will be your home for the next 3 nights. Its idyllic location on the banks of the Khwai River overlooking the Xakanaxa Lagoon ensures it is one of the few camps to provide guests with a year-round land and water game viewing experience. Activities offered at Xakanaxa include game drives in open 4 x 4 vehicles and short water game viewing excursions in mokoros in conjunction with a longer powerboat exploration. 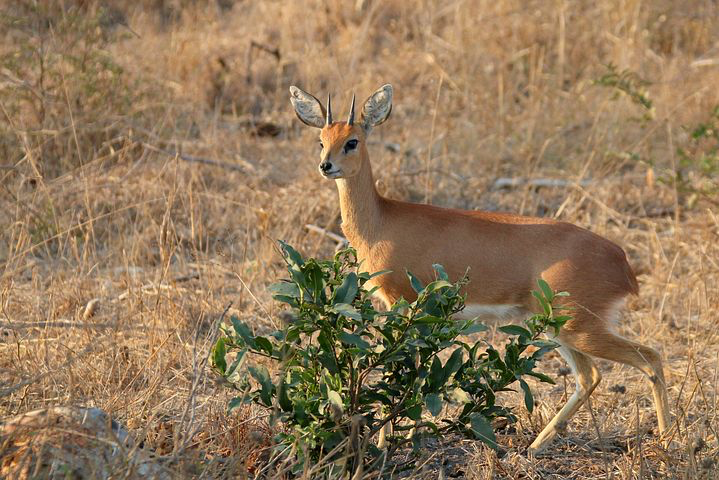 Included in your stay are two scheduled safari activities daily, and the associated park fees. Below are descriptions of the parks you will visit. The Chobe National Park boasts four distinctly different ecosystems: Serondela with its lush plains and dense forests in the Chobe River area to the northeast, the Savute Marsh in the west and the Linyanti Swamps in the northwest, with the hot, dry hinterland in between. The Makgadikgadi Pans National Park is situated between Maun and Nata, in northern Botswana. These great thirstlands cover some 4,900 square kilometers of lifeless land which transforms when the rains come in mid-November. They retain their water into April or May, attracting a spectacular array of water birds and stimulating dramatic migrations of wildebeest and zebra. The Central Kalahari Game Reserve situated in the center of Botswana. This reserve characterized by vast open plains, saltpans, ancient riverbeds and the world renowned Deception Valley. The Basarwa or San Bushmen have been resident in this region for thousands of years, surviving in a climate of sporadic rainfall, varying from 170 to 700 ml per annum. The completion of the Victoria Falls bridge gave birth to the city of Livingstone in 1905. The town prospered as the gateway to trade between the north and south sides of the Zambezi. Some colonial buildings were erected, which still stand today, creating an atmospheric welcome to travelers using Livingstone as an entry point to explore this beautiful region. For the next 2 nights, you will be staying at the privately owned and run, Tongabezi. It is a luxury lodge on the banks of the Zambezi River just upstream from the Victoria Falls in Zambia. Beautifully located on a gentle sweeping bend in wild riverfront bush, Tongabezi has superb river views, birdlife, pods of hippos and is an exclusive hideaway. Tongabezi provides a variety of activities from a visit to Victoria Falls (one per stay), island lunches, Sanpan floating candle e-lit dinners and canoeing on the Zambezi, to sunrise and sunset boating, game drives, guided bush walks, fishing, and a Simonga Village excursion. 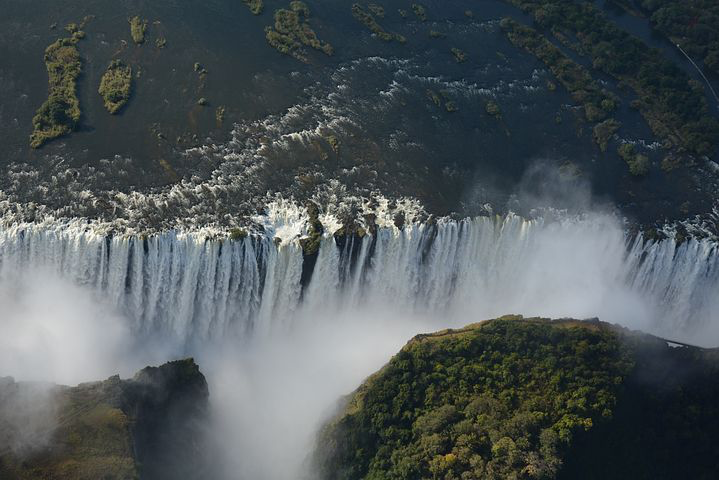 Be sure to visit and experience the Victoria Falls by foot or by air. Catch up on the local history at the Livingstone Museum as well as the Railway Museum, shop at the large craft markets, get active with white water rafting, sports fishing, and kayaking, or relax and enjoy unforgettable African sunsets on a river cruise. Even though there is a 50km unfenced boundary with the Kruger National Park, the game in the Sabi Sand Reserve is well habituated resulting in unforgettable close encounters and prolific sightings, particularly of the elusive leopard. The Sabi and the Sand Rivers run through the reserve, which add further dimension to the bio-diversity of this area. For the next 3 nights, you will be staying at the Exeter River Lodge. It is situated on the Exeter Private Game Reserve, which is in the secluded western corner of the Sabi Sands Game Reserve. The lodge is set on the banks of the perennial Sand and Mabrak Rivers. Lazy lunches are enjoyed under a huge Sausage tree, and sumptuous dinners coupled with a selection of fine South African wines are served in the dining room or the fire-lit open-air boma. Full sliding doors open out to softly shaped wooden viewing decks in line with the river’s edge, leading to private plunge pools. Be pampered at the wellness center, with its unique open-air gym and enjoy the wonders of the African bush in open safari vehicles or walking safaris. The old and established suburbs of Gardens, Oranjezicht, and Tamboerskloof merge into each other as they line the foothills of Table Mountain and Signal Hill. The area enjoys convenient proximity to the city, the Table Mountain Cableway, as well as the beaches. The narrow little streets lined with original Cape buildings, many of which had been beautifully restored, some now housing museums and art galleries, as well as lively sidewalk cafés and highly acclaimed restaurants. Kensington Place is an exclusive and “off the wall” boutique hotel, set on the slopes of Table Mountain, in the vibrant suburb of Higgovale. 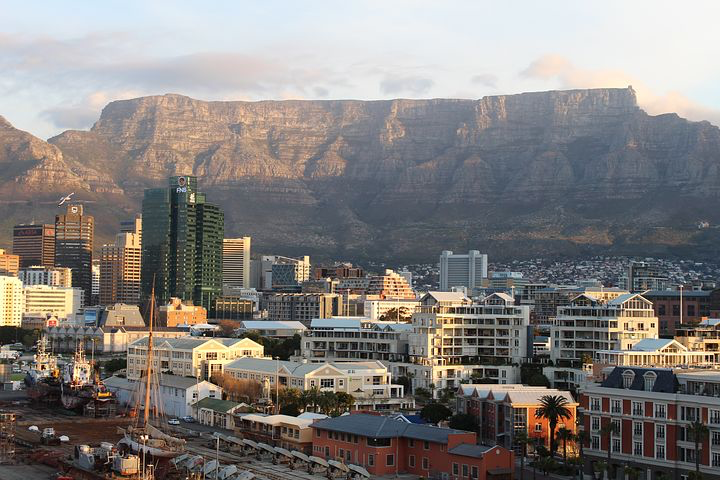 Today you will explore the city of Cape Town, known affectionately as the Mother City. Your tour will take in the Houses of Parliament, the Castle (built between 1666 and 1679, this is South Africa’s oldest building), the lively Greenmarket Square with its daily market, the Company Gardens, and of course Table Mountain, which will give you spectacular views over the city and the Peninsula. The cable car fee is not included as it is weather dependent. As you come back down from the mountain, make a stop at Bo-Kaap, home to the Cape Malay community, with its cobbled streets and brightly colored houses. From here you have the choice of being dropped off at the Waterfront to experience this vibrant location at your pace, with its many shops, restaurants, and pubs – or at your hotel to end the tour. 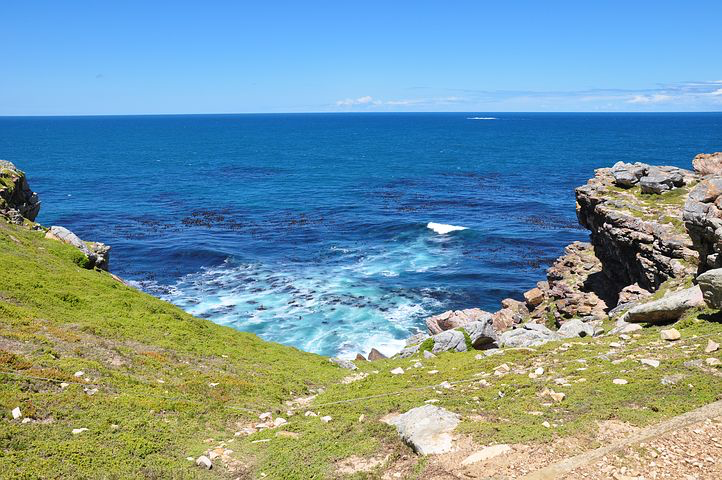 Today you embark on a full-day tour of the Cape Peninsula. 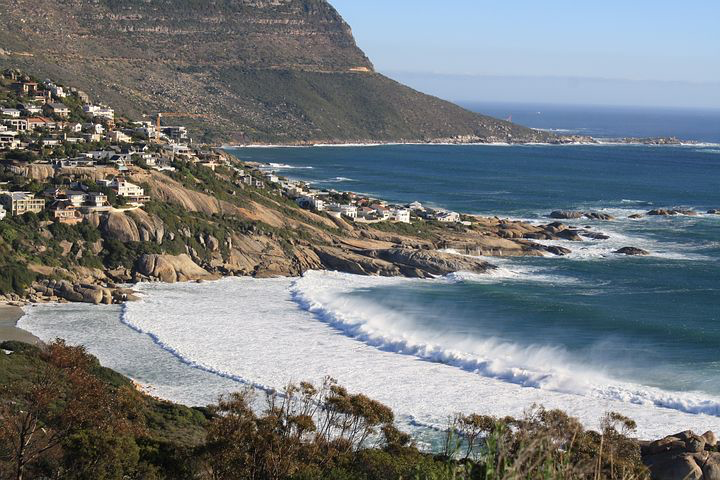 Take in the beaches of Clifton and Camps Bay, before crossing over to Hout Bay, where you may choose to join an optional boat cruise to Seal Island. From here you drive to the Cape of Good Hope Nature Reserve via Chapman’s Peak, one of the world’s most breathtaking coastal drives, where you will board a funicular to get to the top of the Peninsula to witness the symbolic meeting of the Indian and Atlantic Oceans and enjoy spectacular views over False Bay. In the afternoon, you will continue to Simonstown, the naval base, and visit the African Penguin breeding colony at Boulders Beach. Then stop at the world-renowned Kirstenbosch Gardens before arriving at your hotel for overnight. 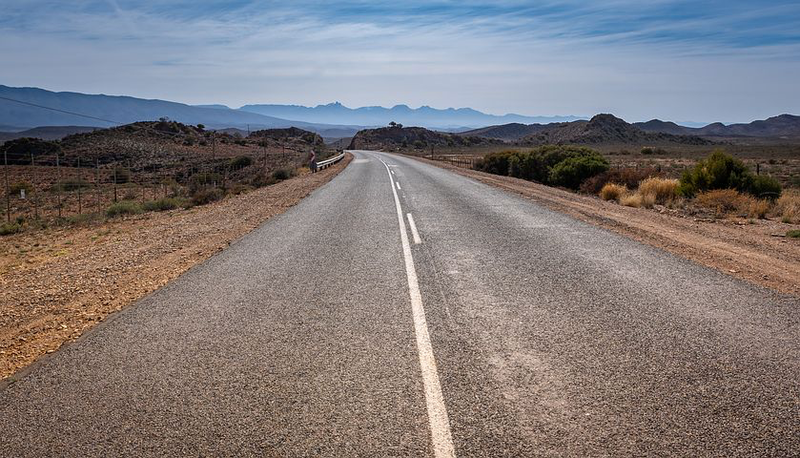 The wide open spaces of the Little Karoo region are spread along the famed Route 62. Stretching approximately 200km from Cape Town, this area fringes the great expanses of the Great Karoo and characterized by incredible rock formations and passes, fertile valleys and small country towns – all framed by the distant Langeberg mountains. Some of the charming country towns that make up this region include Bonnievale, Swellendam, Montagu, Barrydale, and Calitzdorp – many with excellent examples of the simple Little Karoo farm architecture and all with a common feature: the tall spire of the Dutch Reformed Church, which is the center of life here. To this day, these communities are dependent on the agriculture of fruit, vineyards, dairy and sheep and the landscape is known for its wide range of foliage, from an Afro-montane forest and delicate fynbos to Karoo scrub and a great variety of succulent plants. There are also many well-established wine estates on the route, with sweeter grapes are grown the further east one travels, giving rise to port and muscadels. Tonight you will be staying at Schoone Oordt. It is a Country House situated between Cape Town and the Garden Route in the picturesque farming town of Swellendam. This much photographed double volume Georgian landmark is set on over 5000 square metres of lush, manicured grounds. Enjoy great relaxing strolls around the manicured lawns, secret woodland glades and the vegetable/herb gardens. The tranquil fountains and rose garden will help you unwind and laze on a shaded deckchair beside the fresh saltwater swimming pool. 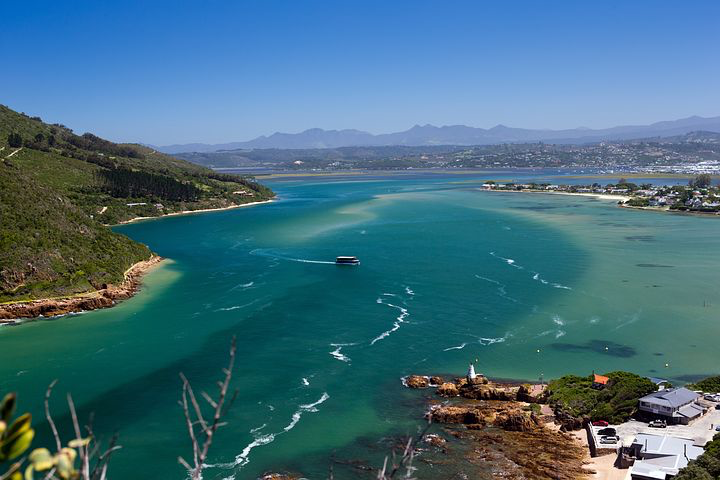 The word Knysna comes from the Khoi-San language, and it is thought that the name refers to the Knysna heads, which guard the entrance from the lagoon to the Indian Ocean and which are perhaps the most famous feature of this naturally beautiful town. The British-born entrepreneur, Sir George Rex, founded Knysna in 1804, a gold nugget was found in 1876 and alluvial gold was found in 1885, but even through the mini gold rush, Knysna’s most important industries have been made up of generations of woodworkers and fishermen. Situated at the heart of the Garden Route, the town is established on the shores of an estuary and lush indigenous forests surround it, making Knysna a wilderness of beaches, lakes, mountains, forests and rivers where the endangered Knysna seahorse, the famous Knysna turaco, the endangered dwarf chameleon, the Brenton Blue Butterfly and the highly elusive Forest Elephant can be found. The town itself is a vibrant mix of artists and craftsmen, as well as waterfront restaurants, making it one of the most appealing cities in the country. For the next 3 nights you will be staying at Kanonkop House. It is situated on the apex of Kanonkop Hill; with elevated views over Knysna and the lagoon. Comfy sitting areas open out via cottage pain sliding doors, to open wooden decks overlooking the lagoon. Fill your days with all the excitement of this beautiful region. Relax beside the well-sized swimming pool, which surrounded by wide wooden decking and shaded loungers, or explore the nearby indigenous forest, which attracts wildlife and an abundance of birds. Drive your rental car to the Cape Town International Airport. Return it and proceed to catch your flight home! Fairlawns is an award winning boutique hotel & spa, situated in the quiet and leafy suburb of Morningside, Johannesburg. Set on a stately, park-like garden with huge mature trees and prolific bird-life, guests are able to enjoy the peace and tranquility, while being positioned in the heart of Africa’s throbbing business capital. Sumptuous breakfasts and light lunches are served at the pool, on the Italian influenced terrace, in the unique restaurant or in the suites, according to the guests’ desire. The palatial accommodation comprises of 12 courtyard suites, six premier suites and a presidential suite. All have large windows overlooking some aspect of the landscaped garden, individually controlled air-conditioning, mini bars, wireless and broadband internet connectivity, international adaptors, DVDs and flat screen satellite TVs. The en-suite bathrooms feature marble surfaces, separate showers and oversized baths and walk-in dressing rooms. Make use of the health spa, gym and steam room as well as a Balinese Spa Garden with hydrotherapy treatments, or otherwise, order an aperitif on the tranquil terrace or sip cognac in front of a winter fire in the Colonial Bar. Located in the heart of Moremi Game Reserve in northern Botswana, Xakanaxa Camp is one of the original, authentic bush camps. Its idyllic location on the banks of the Khwai River overlooking the Xakanaxa Lagoon ensures it is one of the few camps to provide guests with a year-round land and water game viewing experience. The 12 all canvas, Meru-style classic safari tents are raised on decks blending in with nature. The tents are spacious and tastefully furnished with twin or double beds and en-suite showers, hand basin, and toilet facilities. There are fans, toiletries, plug points, hairdryers, gowns, and ponchos. Situated on the fringes of the lagoon each tent has a private viewing deck with comfortable loungers. Set on raised wooden platforms under the shade of towering trees, Xakanaxa’s thatched dining room, lounge and bar area, curio shop, fire deck and plunge pool provide a restful sanctuary with magnificent lagoon views. Privately owned and run, Tongabezi is a luxury lodge on the banks of the Zambezi River just upstream from the Victoria Falls in Zambia. Beautifully located on a gentle sweeping bend in wild riverfront bush, Tongabezi has superb river views, birdlife, pods of hippos and is an exclusive hideaway. The treasure aesthetic of every Tongabezi space is the underlying philosophy that nothing is too much, with the perfect combination of romance and exclusivity, mixed with warm and attentive service. Tongabezi consists of five river cottages; four open fronted luxury thatched houses; one enclosed luxury cliff-top house and one garden house, perfect for families with two bedrooms, a living room, garden and plunge pool in its private enclosure (no river views). Each house and the cottage have a valet (private concierge) who remains with guests throughout their stay; romantic seclusion and privacy, fantastic views, king size beds and en-suite bathrooms. With the spirit of Africa subtly seeping through the lodge, main areas are peaceful, making use of the natural surrounds. Dining can be hosted by a manager at the sleeper dining table, or a private affair at one of the three open-air dining decks, or an entire floor of the Lookout. There are decks with seating and lounging, a swimming pool and spa (additional charge). Exeter River Lodge is situated on the Exeter Private Game Reserve, which is in the secluded western corner of the Sabi Sands Game Reserve. The lodge is set on the banks of the perennial Sand and Mabrak Rivers. The lounge and dining areas are under thatch, with totally open sides, chunky leather and carved wooden furnishings and unusual pebble in-lays in the cool screaded flooring. Lazy lunches enjoyed under a huge Sausage tree, and sumptuous dinners coupled with a selection of fine South African wines are served in the dining room or the fire-lit open-air boma. The eight luxury suites are tucked away under the shade of the Ebony trees, they are all air-conditioned, and the en-suite bathrooms have twin hand basins, separate bathtubs, and outdoor showers. The suites are huge, with separate sitting areas, and leather headboards frame the extra-large beds. Wide sliding doors open out to softly-shaped wooden viewing decks in line with the river’s edge, leading to private plunge pools. Kensington Place is an exclusive and “off the wall” boutique hotel, set on the slopes of Table Mountain, in the vibrant suburb of Higgovale. A lush surrounds the hotel landscaped garden with and intimate plunge pool and a wide terrace offering breathtaking views of the city, harbor, and surrounding mountains. Nominated one of the Top 101 Hotels in the World in 2006, Kensington Place has an intimate bar, dining room and lounge with a fireplace and a music library. The eight luxurious rooms each had private terraces and styled in a unique blend of textures, original artworks from mostly South African artists and contemporary detail with marble baths, DVD players, audio visual facilities with iPod docking, a laptop, and Skype. Enjoy the warm hospitality, relaxing in the garden, and outdoor dining by the pool, exploring the wide variety of restaurants and cafés in the area or making use of the complimentary gym membership. Schoone Oordt Country House is situated between Cape Town and the Garden Route in the picturesque farming town of Swellendam. This much photographed double volume Georgian landmark is set on over 5000 square metres of lush, manicured grounds. The luxurious interiors maintain a laid-back atmosphere where collectors’ pieces and antiques give way to ornate balustrades on the staircase, leading to cozy hot drinks by the fire. The sun-kissed conservatory is home to the renowned Koornlands Restaurant, where light and bright breakfasts are served, and stylish dinners are enjoyed. The eight luxury guest cottages and a honeymoon cottage have been carefully designed to blend with the character of the main house. These cottages are positioned around the grounds, near the bubbling fountains, or the fragrant rose garden. Each cottage has its separate entrance and offers air-conditioning, satellite television, DVD players, fireplaces and tea and coffee stations with homemade biscuits or rusks. The twin or king beds don custom-made 100% cotton percale and goose down bedding and are surrounded by antique wardrobes and dressers, and luxurious wool carpets. The en-suite bathrooms boast under floor heating, heated towel rails, over-sized showers, double basins and luxury bathtubs set beside the windows. All the cottages open out to private patios overlooking the rolling grounds. Enjoy extensive relaxing strolls around the manicured lawns, secret woodland glades and the vegetable/herb gardens. The tranquil fountains and rose garden will help you unwind and laze on a shaded deckchair beside the cool saltwater swimming pool. Kanonkop House is situated on the apex of Kanonkop Hill, with elevated views over Knysna and the lagoon. The elegant guest bar is a warm and social meeting place which is adjacent to the stylish indoor dining area. In winter, meals are generally enjoyed indoors. However, most mornings are conducive to scrumptious breakfasts served under umbrellas on the patio. The five luxury rooms are entirely different in character; they have each been individually named, and they are decorated with quality fabrics and furnishings, enhanced by artworks of talented South African artists. All the rooms have unique hand-made wooden paddle fans, underfloor heating, electronic safes, international adaptors, satellite TVs, CD players and tea / coffee facilities. The twin or king beds boast 100% cotton linens and the en-suite bathrooms offer hairdryers, robes, and slippers, scattered showers and baths with clear glass and marble finishes, as well as candles and aromatic oil burners. Comfy sitting areas open out via cottage pain sliding doors, to open wooden decks overlooking the lagoon. Fill your days with all the excitement of this beautiful region. Relax beside the well-sized swimming pool, which is surrounded by wide wooden decking and shaded loungers, or explores the nearby indigenous forest, which attracts wildlife and an abundance of birds.